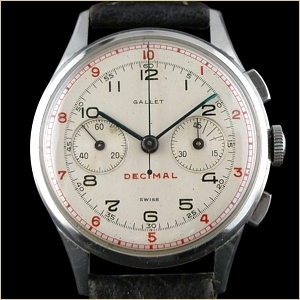 The Decimal is a unique variation from the MultiChron 45 series. Engineered for medical, industrial, sports, and scientific applications, time recording functions are divided into minutes and tenths of minutes. 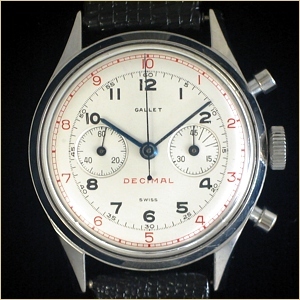 Due to the specialized use, relatively small numbers of this rare watch were produced. Model name: MultiChron Decimal "Waterproof"